CARLE PLACE, Long Island (WABC) -- Police in Nassau County say a Westbury man impersonated a police officer to pull someone over. 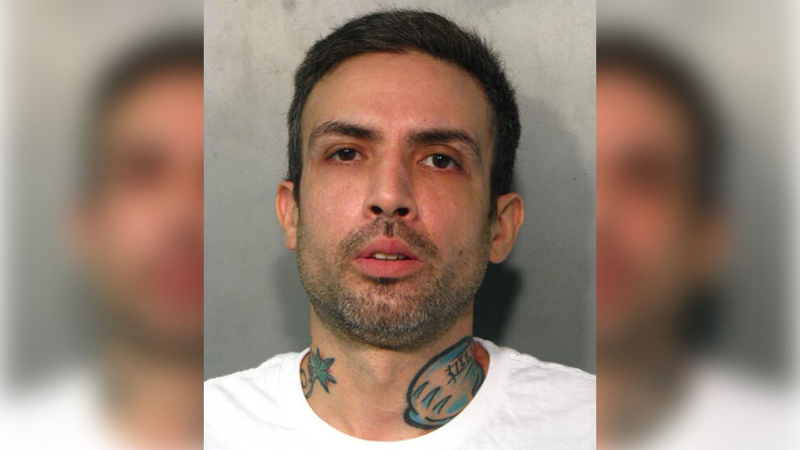 Anthony Scott, 37, allegedly used a red and blue flashlight on the dashboard of his Chevy Silverado pickup truck to pull over a male driver on the Northern State Parkway in Carle Place on Saturday. The victim said that after pulling over on Glen Cove Road, Scott showed him a gold and blue shield and a black handgun. When Scott asked him to exit his vehicle, authorities say the victim drove away from the scene quickly and reported the encounter to the police. Officers found Scott driving on Wetherill Road in Garden City at 4:15 p.m. and arrested him on charges of criminal impersonation and menacing.